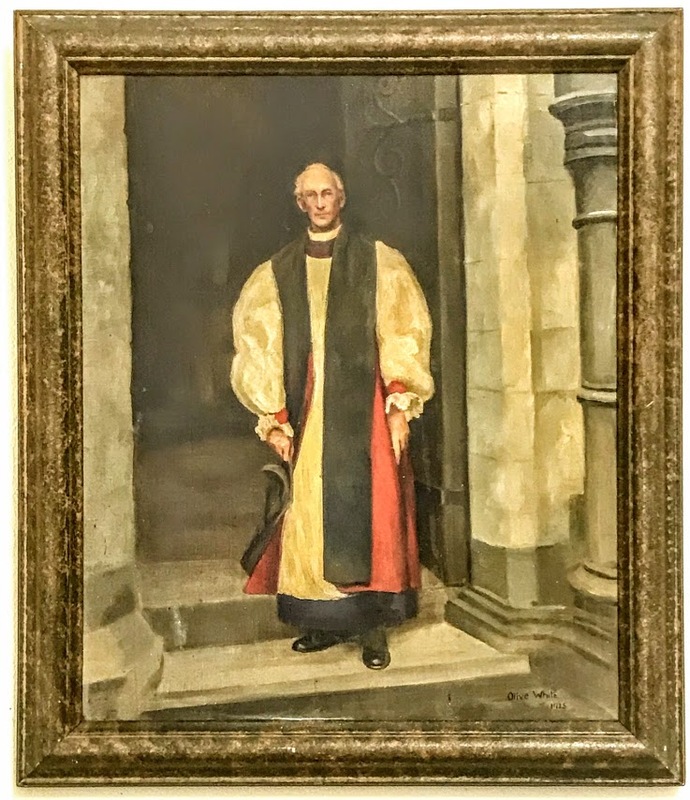 The portraits of many former Deans and Bishops of Limerick have been given new places in Saint Mary’s Cathedral, Limerick, in recent weeks. Some have come from the RCB Library in Dublin, and others have been found new places of prominence in the Chapter Room and the dean’s office. 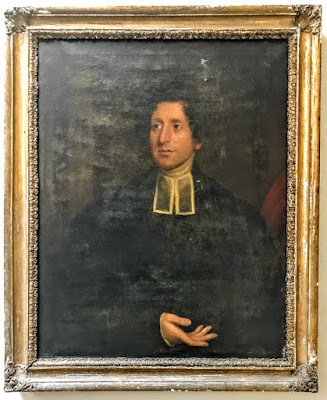 William Gore, an 18th-century of Limerick (1772-1784), was a son of the Very Revd William Gore (1697-1731), who had been Dean of Clogher (1716-1724) and Dean of Down (1724-1731), and Honora Prittie of Dunally, Co Tipperary, whose family are buried in Kilmore Church, near Silvermines, Co Tipperary. 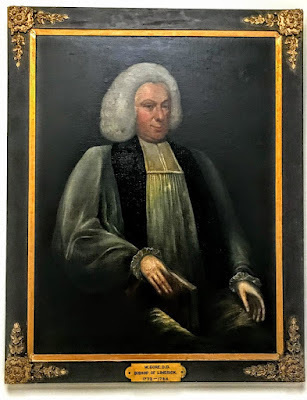 Bishop Gore was the Dean of Cashel (1736-1758), Bishop of Clonfert and Kilmacduagh (1758-1762), and Bishop of Elphin (1762-1772), before becoming Bishop of Limerick, Ardfert and Aghadoe in 1772. In 1783, he commissioned building a Manor House at Old Conna, near Bray, Co Wicklow. Old Conna House, or Old Connaught House, was rebuilt for Phineas Ryall in 1860 by Lanyon and Lynn. It later became an hotel, a private school and is now part of a private and gated development of apartments. Bishop Gore died on 25 February 1784. Thomas Bunbury (1830-1907) was Dean of Limerick before becoming Bishop of Limerick (1899-1907). He was born in 1830 at Shandrum, Co Cork, and educated at Trinity College, Dublin. He was ordained in 1854, and was a curate in Clonfert and then Mallow, Co Cork, before becoming the Rector of Croom, Co Cork. Bishop Bunbury died in office on 19 January 1907. Harry Vere White (1853-1941) was Bishop of Limerick at the time of Irish Independence and the formation of the Irish Free State in the early 20th century. He was born in Dublin on 1853, and educated at Trinity College Dublin (MA, DD). He was ordained in 1878, and for five years was a missionary with SPG (now USPG) in New Zealand (1880-1885). After he returned to Ireland, he was the organising secretary of SPG (1894-1900), when he lived at 3 Belgrave Road, Rathmines, later known as Overseas House when I worked there in 2002-2006. He was the Vicar of Saint Bartholomew’s Church, Ballsbridge (1905-1918), and a canon of Saint Patrick’s Cathedral, Dublin (1902-1918). At Saint Bartholomew’s, he conducted the marriage of Philip Henry Comerford and Mary Harvey on 5 October 1907. 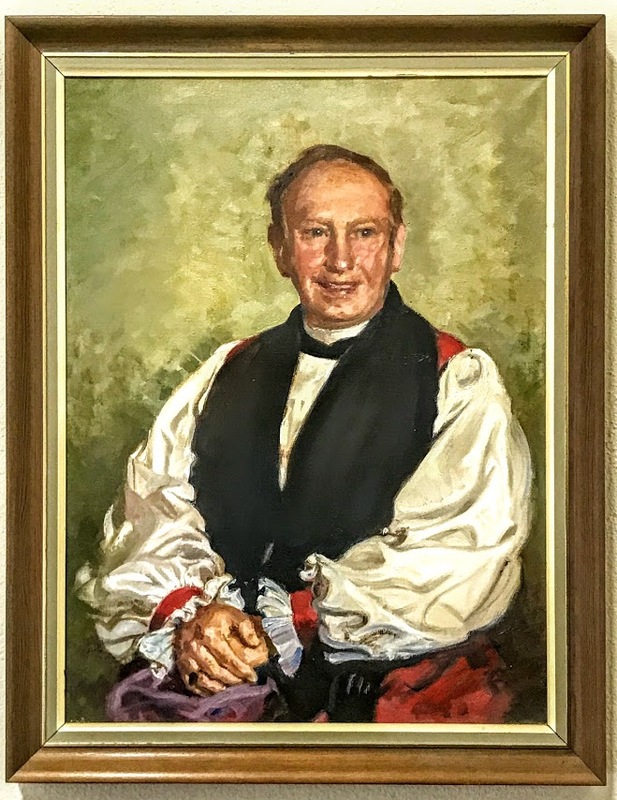 Their children included the Revd Philip Henry Comerford (1909-2006), a missionary in Paraguay who later moved to Canada and was the father of Archdeacon Henry Comerford. Later, Harry Vere White was Archdeacon of Dublin (1917-1918) and Dean of Christ Church Cathedral, Dublin (1918-1921). He then became Bishop of Limerick, Ardfert and Aghadoe in 1921. He retired in 1933, and died on 20 January 1941. He wrote many pamphlets and small books, including a biography of Bishop John Jebb of Limerick and a short history of SPG in Ireland. Like Bishop William Gore and Bishop Harry Vere White, Bishop Evelyn Charles Hodges (1887-1980) also came from a clerical family. He was born at Towlerton House, Co Carlow, the son of the Rev. WH Hodges. He was educated at Rathmines School and Trinity College Dublin (MA, DD), and was ordained in 1911. 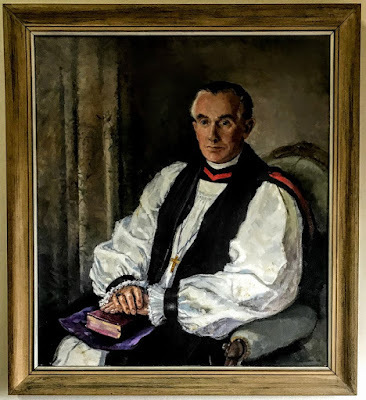 He was a curate in Drumcondra and North Strand (1911-1914) and then in Rathmines (1914-1917), and then spent seven years as Diocesan Inspector of Schools for Dublin, Glendalough and Kildare (1917-1924). He returned to Rathmines as Rector (1924-1927). 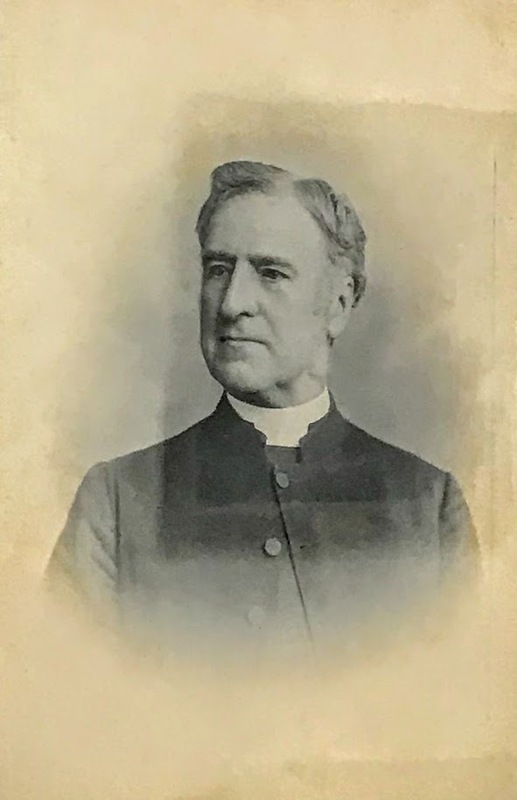 From 1928 to 1943 he was the Principal of the Church of Ireland Training College, later the Church of Ireland College of Education (1928-1942). He was also a canon of Saint Patrick’s Cathedral, Dublin (1934-1943). He became the Bishop of Limerick, Ardfert and Aghadoe in 1943, and after he retired in 1960 he spent some years as priest-in-charge of Saint Andrew’s Church, Dublin (1965-1971). He died on 18 March 1980. Donald Arthur Richard Caird (1925-2017), who died last year, was Bishop of Limerick (1970-1976). He was born in Dublin and educated at Wesley College and He was a curate in Saint Mark’s, Dundela (1950-1953) and Chaplain and an Assistant Master at Portora Royal School, Enniskillen (1953-1957), and then lecturer in philosophy at Saint David’s University College, Lampeter. He returned to Dublin as Rector of Rathmichael (1960-1969), when he also lectured at the Church of Ireland Theological College, Dublin. For a brief time, he was Dean of Saint Canice’s Cathedral, Kilkenny (1969-1970), before becoming Bishop of Limerick, Ardfert and Aghadoe. When he was translated to the Diocese of Meath and Kildare in 1976, the Diocese of Limerick was amalgamated with the Diocese of Killaloe. He was Archbishop of Dublin from 1985 until he retired in 1996. He died on 1 June 2017 at the age of 91. The portraits of these five bishops have been joined by two portraits of Dean Lucius O’Brien. An eighth portrait has yet to be identified. Is there a picture or place for Rev.Gerald Beere ?